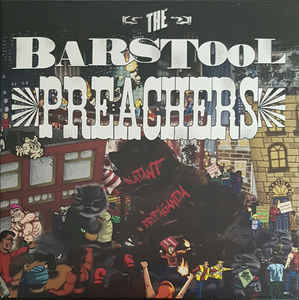 The Barstool Preachers comes to the plate with their debut full-length, “Blatant Propaganda” – and they are definitely turning heads. The Barstool Preachers is the perfect antidote to all of the run-of-the-mill, industry-standard apathy we see in modern music today. Fresh off the back of their first single, “One Fool Down,” this LP combines the best of ska, punk and reggae into a fun barrage of songs that can get even the most jaded singing along to.